One of the challenges of photographing high school sports is the limitations sometimes placed on where you’re allowed to stand. The best locations to catch the action are often out-of-bounds to parents. After stressing about missing shots in the past, I’ve realized over time that no matter where you stand there are photo ops available, and sometimes “bad” places will result in good images. 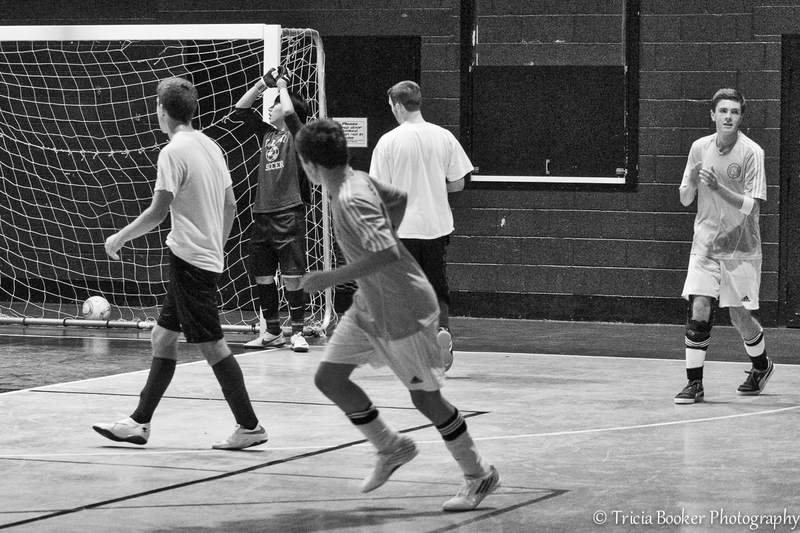 Photographing Futsal is new to me, and this was my second game. Because it’s played in a small gymnasium, all of the spectators are relegated to the stands, and even then you must still watch out for fast flying soccer balls. So, I’m forced to sit in one place to shoot. Nevertheless, I was pleased with this series I captured of Cam scoring a goal. 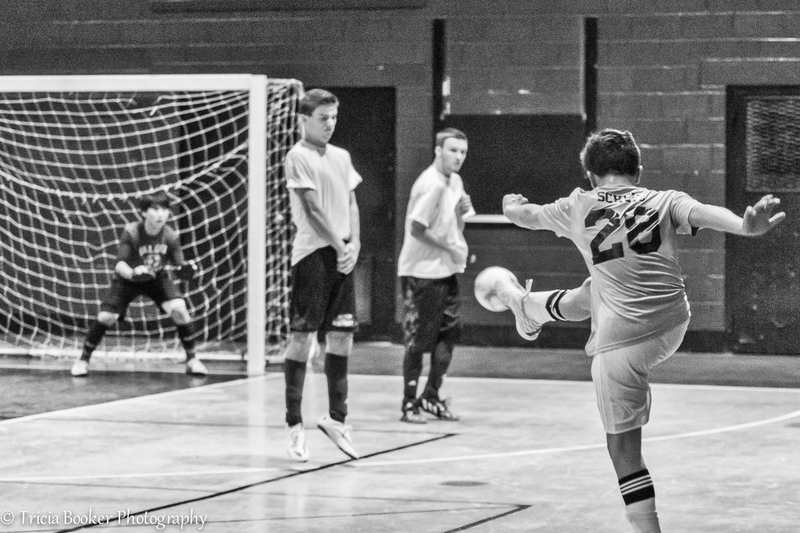 Even though I wasn’t able to catch his expression because of my location, I timed the shot with the ball coming off his foot and the defenders facial expressions provided the story. Through years of experience, I’ve also developed the habit of following the ball into the goal. It’s there that you’ll often capture those intense emotions, such as the goalie’s exasperation at missing the incoming ball and the happiness of the players on the team that scored. These photos were edited in Lightroom and Macphun’s Tonality Pro. Thank you Nalaik Panda! I’m happy that you have enjoyed the recent posts on football. And thank you for reminding me that I should be key wording football along with soccer! I will be posting more football photos throughout the year as it’s one of my favorite sports to photograph. I think the player on the other team was protecting his man hood when he saw the ball heading his way! I never thought to look more closely at the OTHER players until you noted it!! Yes, they often take on that posture when blocking shots toward the goal! I agree — what a funny look on his face. An interesting point to remember, and applicable to shooting wildlife as well. The initial shots are often not the natural ones. Thanks! Yes, good point, Sue! I have tried to keep that “follow” mantra in my mind more often for that very reason!